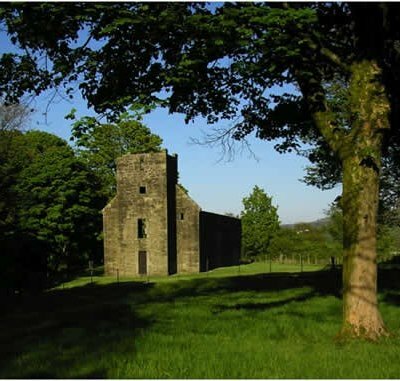 Castle Semple Collegiate Church is owned and cared for by Historic Scotland but sits within the Muirshiel Regional Park (a few miles west of Paisley). Walking and cycle paths go from Castle Semple visitor centre to the church. Within the church is the tomb of Lord Sempill, killed at Flodden and one of the few whose remains were returned to Scotland. The Collegiate Church at Lochwinnoch in Renfrewshire is associated with the ancestral home of Clan Semple (or Sempill). During the campaigns of Robert the Bruce in the 14thcentury he was supported by Robert and Thomas Sempill. In return for their support they were granted considerable stretches of land which Bruce had confiscated from the family of John Baliol. This included the area around Loch Winnoch. A descendant of Thomas, John Semple built Castle Semple at the east end of Loch Winnoch, now known as Castle Semple Loch. He also founded the collegiate church near the shore. It is in a late gothic style and has a rectangular body with a square tower at the west end and a three sided apse at the east end. The school associated with the church came to be regarded as one of the finest in Scotland. John himself died at the Battle of Flodden and is entombed in the eastern end of the church. You can also see the tombstone of a descendant of his, Gabriel Semple. The Collegiate Church is in the care of Historic Scotland. 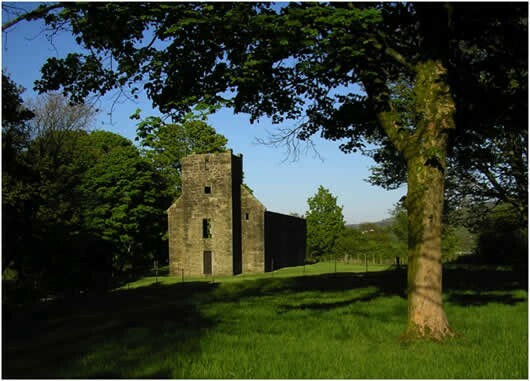 It is an attractive 2km walk from Castle Semple Visitor Centre. The most scenic route combines the loch-shore path and a walk through Parkhill Wood. The most direct approach, on foot or bicycle (bike hire available) is along the flat and level off-road cycle track. There are over 100 free parking spaces on site. Additional Parking can be found in the neighbouring village of Lochwinnoch. To the Visitor Centre from Glasgow: Take M8 to Junction 28A following signs for Irvine A737. Continue on this road for 8 miles to Roadhead Roundabout, picking up the brown sign posting for ‘Castle Semple’. Turn right onto A760 Largs road. After half a mile, turn right over a bridge, passing a sports field on your left. At the next junction, where the road bears left, turn right. The next junction is the entry to Castle Semple Visitor Centre car park. Alternatively, the visitor centre is signposted from Lochwinnoch village’s main street. The Collegiate Church is best accessed on foot from the Visitor Centre, 2km (30 minutes) on a mixture of surfaced and un-surfaced paths (generally level). Contact us for details and vehicular access to the Collegiate Church.